Dr. Timothy Volk has more than 25 years of experience working in the fields of forestry, agroforestry, short-rotation woody crops, bioenergy, and phytoremediation in the Northeastern United States and Africa. He is responsible for a series of research projects focused on the development of shrub willow biomass cropping systems as a feedstock for bioproducts and bioenergy and the use of willow as an alternative cover for industrial waste sites. He is also actively involved in research and development of sustainability assessments of bioenergy systems, life cycle assessments of willow biomass crops and woody biomass from forests, assessments of woody biomass availability from natural forests, economic modeling of short rotation woody crops, living snowfences, regional woody biomass resource supplies, and harvesting systems for short rotation woody crops. Dr. Volk has been actively involved in biomass issues in NY for a number of years including being part of the team that wrote the biomass guidelines for NY’s Renewable Portfolio Standard; being the work leader on sustainability assessments and co-leader for the feedstock assessment team for the Renewable Fuels Roadmap and Sustainable Biomass Feedstock Supply for New York project; and a member of the Agriculture and Forestry work group for the NY Governor’s Climate Action Planning Team. Dr. Volk was also involved in the development and writing of woody biomass sections of the U.S. Billion Ton Update, which was recently released by the USDOE and USDA. He is the team leader for the willow biomass crop feedstock research and development program under the USDOE Sun Grant feedstock development program; and an executive leader of NEWBio – the Northeast Woody/Warm-season Biomass Consortium. Dr. Volk holds degrees from the University of Guelph (BS (Agr. ), Guelph, Ontario) in Natural Resources Management, Cornell University (MS, Ithaca, NY) in Forest Science and SUNY – ESF (PhD, Syracuse, NY) in Forest and Natural Resources Management. He is currently a senior research associate at the State University of New York College of Environmental Science and Forestry (SUNY-ESF) in Syracuse, NY and co-director of the SUNY Center for Sustainable and Renewable Energy. As co-director of the SUNY Center for Sustainable and Renewable Energy at SUNY ESF, Dr. Volk organized a group of faculty from six departments at SUNY ESF to create an interdisciplinary minor in renewable energy and a new major in sustainable energy management. He serves as the curriculum coordinator for the Renewable Energy concentration in the Environmental Science program and Renewable Energy minor at SUNY ESF and is currently teaching courses on Energy Systems and Biomass Energy. 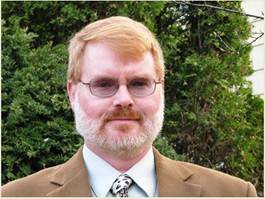 He has written or co-authored over 50 peer-reviewed publications related to woody biomass over the past 15 years.